By now all Cricket followers know that some Lankans have long names ~ you may not have heard of Pinnaduwage Wanidu Hasaranga De Silva but likely to see him more ! At the time of posting this in ODI 3900 at Sir Vivian Richards Stadium, North Sound, Antigua, WIndies had slumped to 168/7 (43.3 ov) ~ on a day when all the 8 competitors are playing a match in ICC Women WC – naturally I was glued to TV following India’s fortunes at Derby – Mithali won the toss, every other person vouched this to be a good batting wicket and a good toss to win, but Indians lost Smriti Mandana early and crawled with runs hard to comeby. Derby, is a city in Derbyshire, England. It lies on the banks of the River Derwentin the south of Derbyshire, of which it was traditionally the county town. Derby was settled by Romans – who established the town of Derventio – Saxons and Vikings, who made Derby one of the Five Boroughs of the Danelaw. Initially a market town, Derby grew rapidly in the industrial era. Home to Lombe's Mill, an early British factory, Derby has a claim to be one of the birthplaces of the Industrial Revolution. Derby is a centre for advanced transport manufacturing, home to the world’s second largest aero-engine manufacturer, Rolls-Royce, and Derby Litchurch Lane Works, for many years the UK's only train manufacturer. It is famous for horse racing too. Aidan O’Brien won the Irish Derby for 12th time as Capri beats Cracksman in thriller. Wings Of Eagles, whose 40-1 victory in last month’s Derby was the biggest surprise in the Classic since the 70s, has been retired from racing less than a month after his Epsom success after he was found to have fractured his left front leg when finishing third in the Irish Derby here on Saturday. Wings Of Eagles finished just a neck and a short-head behind Capri and Cracksman in Saturday’s Classic, having beaten Cracksman by about a length when the two horses finished first and third in the Derby at Epsom. 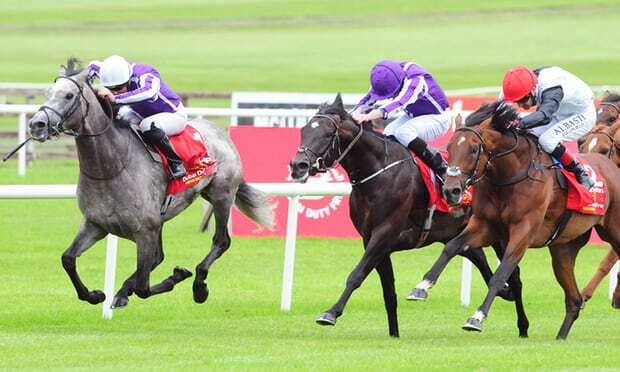 Aidan O’Brien’s colt was not obviously lame after the race and was prominent in ante-post betting for the St Leger in September, but a career-ending injury was diagnosed on Sunday morning. Downunder comes the news that no Australian player will sign contracts nor take part in the Australia A tour of South Africa unless an MoU is agreed between Cricket Australia and the Australian Cricketers Association, but selected squad members have agreed to take part in a training camp in Brisbane from Monday ahead of the proposed trip. The decision, reached by the ACA's executive and a large gathering of male and female players in Sydney on Sunday - the men's national team captain Steven Smith dialled in from holidays in the United States - allows the two parties a little more time to find some middle ground without players immediately withdrawing from pre-season plans. It also confirms that all players, whether on multi-year deals with their states or not, will refuse to play without an MoU. Nearer home at Galle, Hasaranga Desilva helped Lankans an easy win. Lankans beat Zimbabwe by 7 wickets. Two days after Sri Lanka's slow bowlers were crashed around at Galle, two fresh spinners trussed up Zimbabwe's middle order, before Sri Lanka's batsmen completed a largely unflustered chase of 156. Nineteen-year-old legspinner Wanidu Hasaranga made the most dramatic contribution, becoming the third debutant in ODI history to claim a hat-trick, when he wiped out Zimbabwe's tail with the 14th, 15th and 16th deliveries of his international career. But by that stage, Sri Lanka were already in command, thanks largely to Lakshan Sandakan, who was sidelined for long periods by the selectors but was deadly upon his return here. In ICC Women WC, Aussie women won by 5 wickets with 8 balls to spare at Bristol. England continued to make confident strides after their defeat in the opening match of the tournament, as classy half-centuries from Heather Knight and Sarah Taylor saw them to a comfortable seven-wicket win over Sri Lanka in Taunton. Laura Marsh claimed a four-wicket haul as Sri Lanka were limited to 204 for 8, before England cruised to their target with almost 20 overs to spare. South Africa dismantled West Indies for the second-lowest total (48) in their history and sixth lowest in the tournament's en route a crushing 10-wicket win, their second in three games, in 140 minutes. Less than a third of the overs in the game were bowled as South Africa completed their chase of 50 in 6.2 overs. A third successive loss left West Indies, runners-up of the 2013 edition, closer to elimination. Dane van Niekerk, the South Africa captain, became the only bowler in cricket history to take four wickets in an international without conceding a run, but the damage was done earlier. Marizanne Kapp and Shabnim Ismail reduced West Indies to 5 for 16, with only one batsman - Chedean Nation - getting into double digits. Watching India match at Derby was not exacting encouraging for Indian supporter. Sandhu struck twice in one over to first trapped skipper Mithali Raj for 8 in front of the wickets and two balls later removed Deepti Sharma for 28. India were eventually left tottering at 111/6 at the end of 37th over. Sushma Verma and Jhulan Goswami chipped in with a partnership of 34 runs before Goswami was undone by Sandhu. Verma’s cameo too ended soon for 33 after Diana Baig grabbed a brilliant catch in the deep. India were eventually restricted to 161/9 in 50 overs. Nashra Sandhu scalped a four-wicket haul in the process. Pak had bowled well and perhaps their best bowling performance against India. Indian spin bowling attack scripted a magnificent win for their side beating Pakistan by 95 runs to bag their third consecutive win in the tournament. Defending a total of 169, Ekta Bisht scalped the first wicket when she trapped opener Ayesha Zafar in front of the stumps for 1 while Jhulan Goswami provided India with the second breakthrough after she dismissed Javeria Khan for 6. Pakistan then faced a flurry of wickets to get reduced to 6/26. Nahida Khan and skipper Sana Mir tried to hold on to the innings but Nahida was undone by Harmanpreet Kaur for 23. No other batter except for Mir and Nadira touched the double figure mark. The Indian spinners were top their game as they shared a total of 7 wickets among themselves where Ekta Bisht returned with glorious figures of 12-2-18-5. 2nd July 2017 @9.45 pm.